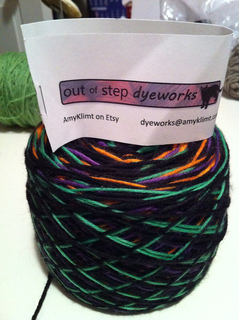 Finally making socks out of the yarn from Sock Summit 2011! 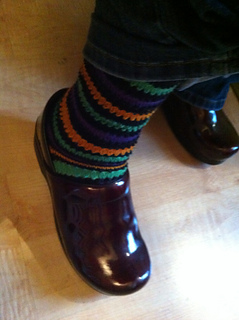 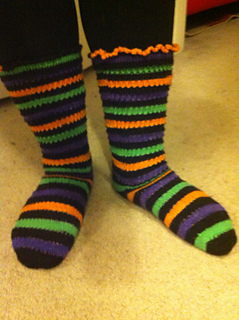 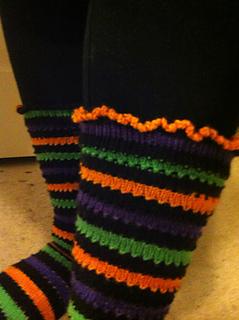 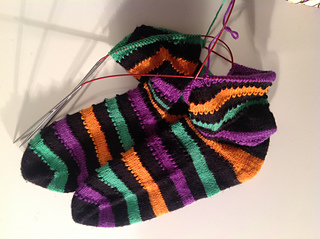 Found this pattern/recipe on Just One More Row’s stripey sock threads. 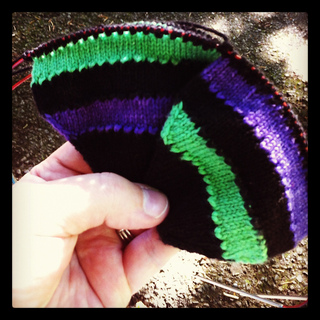 Used my normal JMCO + Cat Bordhi toe, 2 at a time on 2 circs. 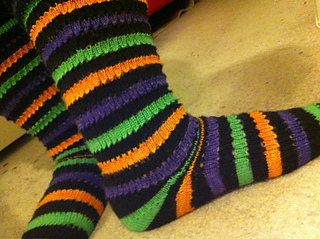 Learned the Sweet Tomato heel. 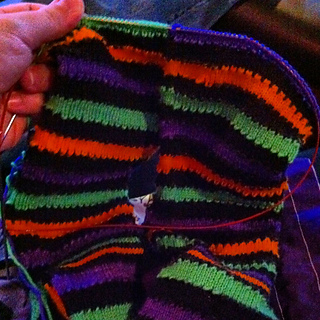 Bound off with a picot bind off.